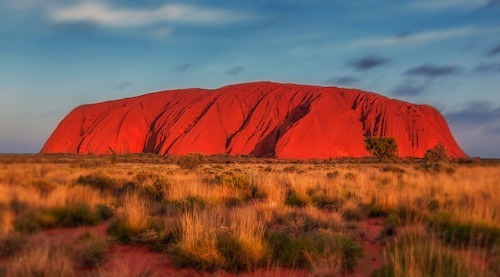 Note 1: The Act in the Northern Territory does not operate in the manner prescribed for the security of payment acts NSW, Queensland, Australia Capital Territory, Victoria, Tasmania or South Australia. Those acts are based on the ‘Australian Model’ where as the Northern Territory Act is based on the ‘United Kingdom Model’. Note 2: The Contractor is the party that has carried out the work. The Principal is the party for whom the work has been carried out. Note 3: The Act provides that either party may have a payment dispute adjudicated. Note 4: The following information utilises the 'Implied Provisions' of the Act. These may be revised by some of the written provisions in the relevant construction contract. Have a question? Email us or ring 1300 76 86 30 for an outcome. The Act secures payments under construction contracts and provides for the adjudication of disputes about payments under construction contracts. What sorts of things are covered by the Act? The Act covers ‘Construction Work’ which is basically all building and related trades. The Act also covers ‘Construction related goods and services’, if they have been provided by a supplier (such as a wholesaler) or person who provides services (such as a designer). Note: The Act does not cover mining work or work associated with wholly artistic work. I have received a Payment Claim what do I do? The Principal (or the Contractor) has 14 days to provide a Notice of Dispute. Day 1 is the day after the other party receives the Payment Claim. How do I know that it is a Payment Claim? (i) be given to the party to which the claim is made. (c) otherwise – a reasonable amount for the obligations performed and detailed in the claim. The subclauses foregoing do not prevent the amount claimed in a progress claim from being an aggregate of amounts calculated under one or more of subclause (a), (b) and (c) of that subclause. What is a Notice of Dispute? A Notice of Dispute is a document that responds to the Payment Claim if the other party does not believe that the Claimant is entitled to the claimed amount. (h) be signed by the party giving the notice. (b) the principal must advise the contractor in writing (either in a notice of dispute or separately) of an amount retained under the entitlement. A Notice of Dispute can be served by post, fax, email or hand-delivery. The key is you need to be able to prove that the Notice of Dispute was served. Note: The construction contract will also provide guidelines with respect to the service of documents. If you do not pay the Claimant in accordance with the Contract or 28 days after receiving the Payment Claim. Then there is a ‘Payment Dispute’ which can be taken to adjudication within 90 days. If the Claimant still thinks that they are entitled to be paid they may make an application for adjudication. If they do you will be notified and given an opportunity to provide a submission in response to the application for adjudication. In reality if you owe the Contractor money for construction work that has been carried out etc. you should pay them. However, if you legitimately feel that you are being inappropriately charged or over charged there are ways of maximising your opportunities and minimising risks. Can I make an application for adjudication under the Act? The NT Act allows Principals to make a Payment Claim and have it adjudicated under the Act. How does the Principal make an application for adjudication? The Principal submits a Payment Claim in relation to performance or non performance under a construction contract. Details regarding Payment Claims are provided foregoing. The Principal then waits for the Contractor’s Notice of Dispute to be provided within 14 days. Details regarding Notices of Dispute are provided foregoing. The Principal then makes its application for adjudication within 90 days after the ‘Payment Dispute’ arises. © Outcome Management Pty Ltd. Site by inksyste.ms.